Welcome to B-Safe Security guard company Albuquerque NM . We are a security guard company based out of Albuquerque NM . As a leading Security Guard Company based out of Albuquerque NM - we offer security guards, bodyguards, armed and unarmed officers in Albuquerque NM . Specializing in security guards NM, patrol company, security officers, bodyguards, executive protection, armed and unarmed officers. Some of our security services in Albuquerque NM involve armed guards, unarmed guards. Looking for security guard companies in Albuquerque NM ? 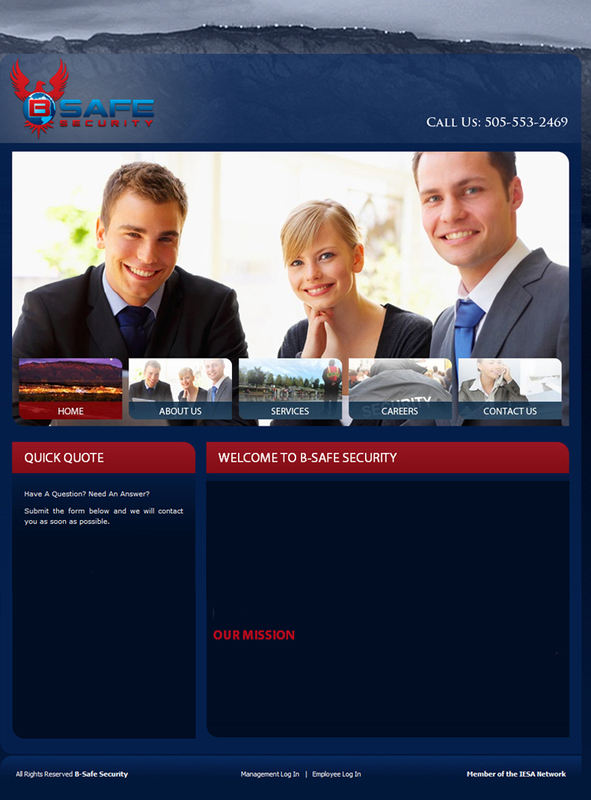 B-Safe Security is Albuquerque NM premiere security provider. B-Safe Security can also provide bodyguards, executive protection staff and security guards within a moment's notice. B-Safe Security Company, LLC. is a leading provider of security guard services in New Mexico. We strive to continuously raise the bar in the private security industry. B-Safe Security provides highly trained uniform security officers to corporations, private events, and governmental clientele for a variety of security service needs. Our security officers undergo an extensive background investigation, routine drug screening, and quarterly performance evaluations from the B-Safe Security management team. B-Safe Security exists to work with businesses in New Mexico to develop effective security strategies, implement affordable loss prevention tactics, refine them over time and ultimately create an engaging experience between our clients and our managers. It is the mission of the owners, officers and support staff of B-Safe Security Company to provide a complete, comprehensive and an effective security service that exceeds the expectations of its clients and the current security industry. We recognize that we are an integral part of every community or business to which we provide security services, and as such, we are committed to addressing the needs of each client we have.